1946 Ford Chopped Coupe "SOLD"
1926 Ford T Chopped Coupe "SOLD"
Firestone WWW Tires Chromed Wheels etc. 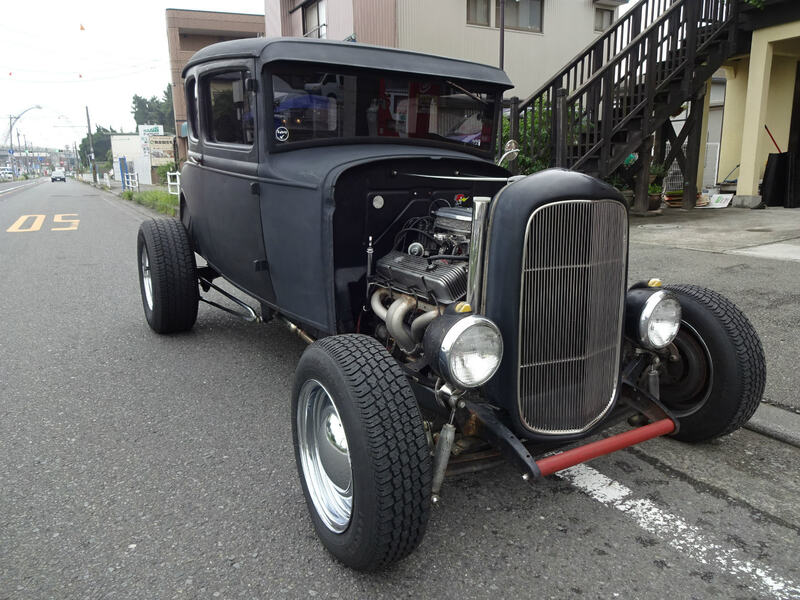 1930 Ford Model-A Coupe "SOLD"
SteelBody Choppedtop Chevy327 Th350 CalCustomValvecovers HolleyCarburetor 8"Rearend F/DiscBrake DroppedAxle GuideHeadlights 32Grille 39BanjoSteering 50BuickTaillights ChromeWheels etc. 12vElectric BLC-Headlights 16" SpokeWheels etc.